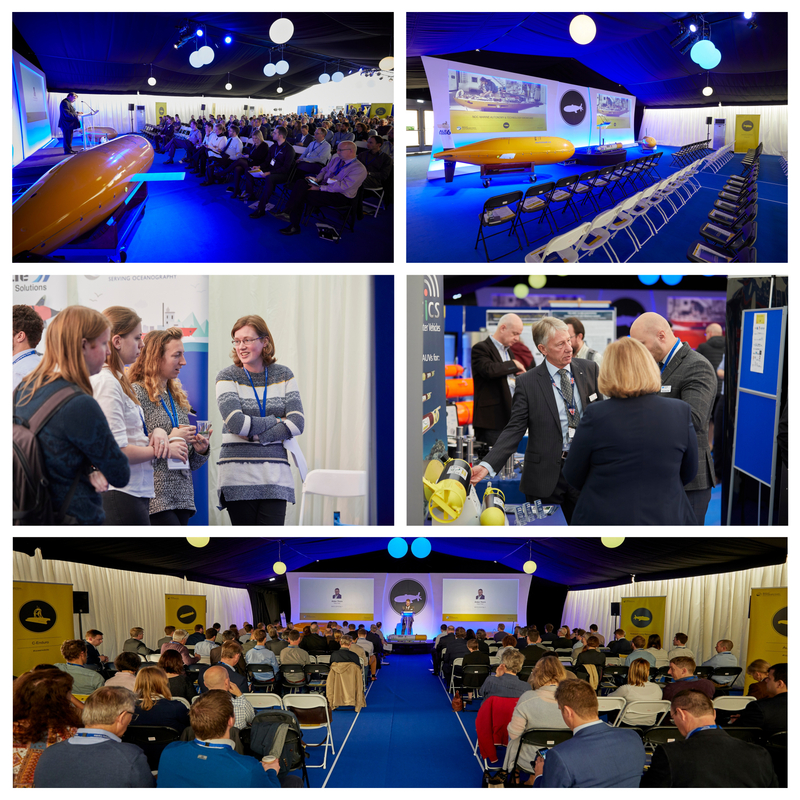 MATS-2018 was the fourth annual event focusing on the present and future of marine autonomous technology and this year boasted its biggest roster of expert speakers, a packed exhibition arena, and more attendees than previous showcases. The Marine Autonomy and Technology Showcase has gone from strength to strength since launching in 2015, and by all measures this year’s event was the biggest and best yet. Attendees came from a wide range of sectors and organisations, including research centres, universities, multi-national corporations, SMEs, and government departments and agencies, enabling technology manufacturers and developers to meet with scientists, researchers and other end-users. MATS-2018 opened with a keynote speech from Major General Robert Magowan CB, CBE Royal Navy, who highlighted the Navy’s growing interest in marine autonomous systems across a range of operational disciplines. The NOC’s Head of Marine Autonomous Systems Development, Dr Alex Phillips, delivered a presentation on the Oceanids programme, funded by the governments’ Industrial Strategy Challenge Fund, which is enabling the development of pioneering marine autonomous platforms that will allow scientists to explore further and deeper into our oceans, tackling the biggest environmental challenges facing the planet. The event also saw updates on the most recent demonstrator mission co-ordinated by the NOC. The Marine Autonomous Systems in Support of Marine Observations (MASSMO) programme is now into its fifth year, with this year’s deployment taking place last month off the coast of Orkney and bringing together the NOC, Dstl, Ecosub, University of East Anglia and others, including the first time a Royal Navy vessel - HMS Enterprise - has been directly involved in the operation. In addition to a packed programme of keynote and technical presentations, the three-day event provided an effective and lively forum for networking and discussion, including a well-received poster session from NEXUSS PhD students, highlighting research from some of the bright emerging talent that will be entering the industry over the next few years. The NOC is a pioneer of marine autonomy - a transformative and disruptive technology that is contributing to the government’s Industrial Strategy and continues to generate ever-growing interest from major industry sectors. MATS-2018 brought all of this together in one place. Feedback from delegates, speakers and exhibitors has been overwhelmingly positive and plans are already well underway for next year’s MATS, which will take place in November 2019. Prof Russell Wynn, NOC Chief Scientist for Marine Autonomous and Robotic Systems, said: “Once again, our Marine Autonomy and Technology Showcase provided a unique opportunity to update our partners and the wider end-user community on the Oceanids and MASSMO programmes, and also enabled us to learn from the experiences of others who are developing these important technologies.